If you've already read our article about how to choose the perfect backpack for travel, you probably already know exactly what you should be looking for when choosing a backpack for life on the road. However, knowing what to look for is one thing, but the actual process of comparing different backpacks can take weeks of research and we know how difficult it can be to arrive at a final decision. Even after all that research you may still overlook the best backpack of all and later regret your purchase. Below we have provided our list of what we recommend as the top 5 backpacks for travellers that prefer to travel light with just a carry-on. 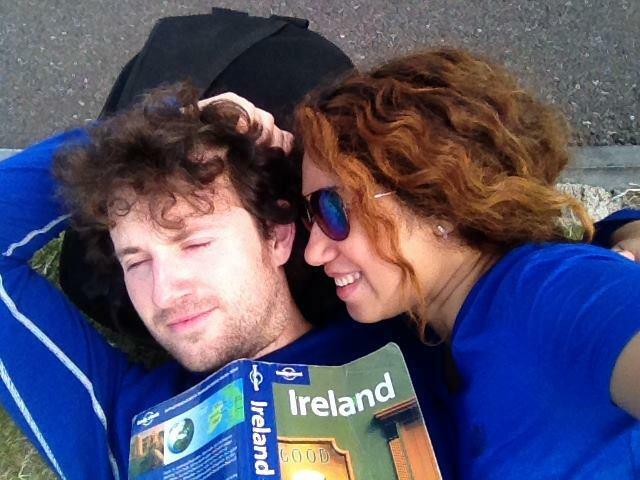 This is in accordance with the minimalist packing philosophy that we endorse and practice ourselves. The list we've compiled will save you a lot of time and headache trying to compare the thousands of carry-on compliant backpacks that are out there in the marketplace. Most backpacks on this list are not cheap but that is because these are high quality, feature-rich backpacks that will better meet your needs and withstand the rigours of travel. A backpack is one thing you don't want to skimp on because the cheap ones nearly always fall apart prematurely. 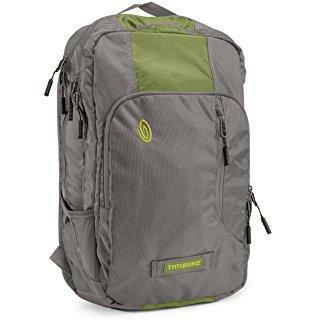 The Osprey Farpoint 40 Travel Backpack is a highly durable, fully featured backpack and many people consider it to be the best travel backpack on the market. At 40L capacity, it is carry-on compliant with the vast majority of airlines but do be warned that 40L is pushing it dangerously close to the carry-on size limits of some of the really strict European budget carriers (such as Ryanair). Some people have indeed had problems with getting this backpack on board with some of the stricter airlines, but this normally only happens when the bag is overloaded with items and unable to be compressed to a smaller size. Therefore, if you want to use it successfully as a carry-on with stricter airlines, it would be best to leave plenty of spare room in the bag and not overload it. Since this backpack comes in two different sizes, you may be wondering which size is best for you. Our advice would be that if you’re 5’6’’or under, go with the S/M and if you’re taller than 5’6’’, the M/L size will suit you best. S/M - 2lbs. 14 oz. The Osprey Farpoint 40 is a feature-heavy backpack so there are many potential positives. However, if you prefer backpacks that are simple in design you may not view all of the myriad features as positives and instead be rather indifferent about some of them. The bag is fitted with an internal alloy frame, which gives it a nice stiff back to prevent it from sagging in against your back under heavy loads. Although this frame does make the bag slightly heavier, the extra stiffness will decrease the likelihood that you’ll develop back problems if you’re planning to load this thing up with some heavy gear. This is a very comfortable bag to wear, even in the case that you should need to load it up near its full load-bearing capacity. The adjustable shoulder straps are very comfortable due to their cushioned foam padding and the back is also well padded with the same material. The open mesh covering on the back also helps with ventilation and helps prevent sweaty-back syndrome while walking or hiking. All the main compartments for this backpack come with high quality dual zippers, which are easily lockable if you carry your own luggage lock. The zipper sliders also have attached plastic zipper pulls with finger holes to allow easy zipping and unzipping. There are a couple of plastic loops sewn onto the bottom of the bag if you want to attach a lightweight carabiner to hang a few items outside the bag. You can easily attach a travel mug, a water bottle, a flashlight, keyring etc. The Osprey Farpoint 40 has plenty of compartments and small pockets to allow you to easily keep everything organized, but not so many that you’ll end up forgetting where things are. The bag has two primary compartments; a very spacious main compartment and a smaller front compartment, which seems to cater largely to storing electronic devices and other gadgetry. The main compartment is very roomy and has a few tie-down compression straps inside, which are useful for securing your clothes to prevent them from shifting around inside the bag. It also has a small zippered mesh compartment inside, which is perfect for keeping items like socks or underwear. The smaller front compartment is best suited to storing flatter items and has a nice padded laptop sleeve, which could easily hold a 15-inch laptop, although travelling with such a large laptop would almost defeat the purpose of carry-on only travel. We recommend an 11-inch or 13-inch laptop at the most. A Velcro tab can be flapped down over the opening of the laptop sleeve to secure the laptop in place. There’s also a smaller zippered pouch/sleeve inside here, which is perfect for holding smaller electronic devices like tablets, iPads, Kindles etc. It could also be used to store your chargers, important cables and other technology-related items. The bag also has a small outer zippered slash pocket on the front of the bag just above the Osprey logo, which is perfect for keeping spare change, pens, passports and any other items that travellers need to have quick and immediate access to while on the go. There are also two stretchy external mesh pockets on the front of the bag, not on the sides as is more commonly seen. Obviously not a place to keep valuables but they can be useful for keeping a water bottle, poncho, umbrella or any other non-valuable items that you need quick access to. However, if you really overload the bag with stuff, the pockets will lose much of their capacity so just bear that in mind. The bag comes with two padded carry handles, which are both very comfortable to grip. One of the handles is a typical haul loop found on the top of the bag and the other is found on the side of the bag, which allows you to carry the bag like a briefcase. On the front of this bag you’ll find two adjustable compression straps, which run horizontally across the bag and are spaced a few inches apart vertically. These straps can be cinched tight to prevent the contents of the bag from shifting around too much, thus granting you improved stability while in transit. However, you do have to loosen these compression straps if you want to access to the bag’s front compartment and thus some people actually view them as a downside of the bag. The main compartment of this bag is panel-loading, so that you can lay it down back-to-the-floor and open it up like a suitcase or clamshell. This is the ideal design for travel as it allows you to quickly and easily access items inside the bag and saves you the frustration of rooting down through layers of items to reach something at the bottom. Not that you should need to use it if you’re travelling light, but if you’re really going to load the bag up with some heavy gear, then rest assured the bag comes with a comfortable and adjustable padded hip belt to help take some of the bag’s weight off your aching shoulders. The hip pads have no in-built pockets however. Another nice feature that comes with this bag is the adjustable sternum strap, which helps take some weight off your shoulders and also prevents the main shoulder straps from sliding down sideways off your shoulders. There’s a small rescue whistle attached to the strap too, which is a nice bonus for those that go hiking in remote areas. The bag also comes with an attachable/detachable shoulder strap made from strong webbing material, which allows you to carry it across one shoulder like a duffel bag. It’s nice to have the option to switch from backpack mode to shoulder bag mode. A very cool feature with this bag is the zippered back panel, which is a solid fabric panel on the back that can be zipped up to entirely cover and conceal the shoulder straps and hip belt inside. This is perfect for when you want to go with the duffel bag mode and you want to keep all the dangling straps neatly tucked away. The zippered back panel can also be easily removed if you want to convert the bag back into a normal backpack. Just unzip the panel fully, roll it up tightly and the tight roll of fabric then neatly fastens to a small Velcro patch at the base of the bag. 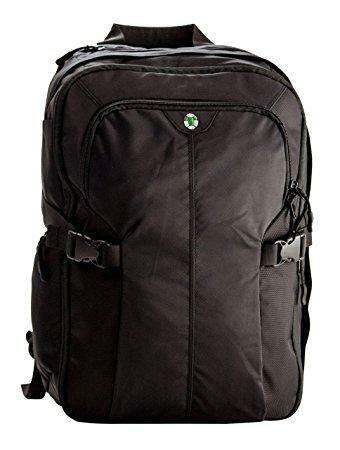 Not only is this a very durable backpack that should last you a heck of a long time, it also comes with a lifetime guarantee, should there be any defect or problem with the bag. If Osprey can’t repair the bag, they’ll give you a brand new replacement backpack. As with any backpack, the Osprey Farpoint 40L does come with a few minor downsides, which you should definitely take into account before deciding on a purchase. Because it’s such a heavily-featured backpack, The Farpoint 40 is a little pricey and the relatively price may be a deal-breaker for some. If you don’t need or want all of these features then this is probably not the right backpack for you and you should take a look at some of the simpler bags we’ve reviewed below. However, if you think that you'd make use of all these features, then we’d say the bag would be an excellent choice, although we'd encourage you to first consider some of the other downsides of the bag listed below before making up your mind. It’s not a massive problem, but we think it would have been better if the laptop sleeve for this backpack had been placed at the back of the bag, like in most other bags. The two main problems with keeping your laptop in the front is that it can make the bag feel a bit heavier and also the front compartment could be forced into a curved shape if you overload the bag, thus potentially endangering your laptop. Many travellers that own this bag just don’t keep their laptop inside the front compartment and instead keep it next to their back in the main compartment, inside its own sleeve or case. It's definitely not the end of the world but we do like backpacks that provide an integrated raincover that you can pull out of a small zippered pocket at the bottom of the bag. You can still buy a separate raincover for this backpack so don't worry about it too much. The Outlander 33L is a very simply designed, no-frills, ultra-light and ultra-compact backpack that is ideal for minimalist travellers who are just taking a short multi-day trip and only need to pack a few clothes and other essential items. Despite being made of such lightweight thin material, it is still a surprisingly durable bag. The bag is well within the carry-on size limits of even the strictest airlines and its compactness also means you won’t have to worry about it fitting in overhead compartments on airplanes, under seats and in overhead racks on buses and trains, in hostel lockers etc. This backpack is also known for being 'packable', meaning it can be packed away inside a small zippered pouch, which allows you to easily carry it as an extra daypack if you normally travel with a larger primary backpack. For the purposes of long-term travel we probably couldn’t wholeheartedly recommend this backpack as it doesn’t offer a laptop sleeve or much protective padding for other electronics, and most long term-travellers are probably going to need a laptop and other electronic devices at some point to allow for working online. The Outlander doesn't go overboard with luxury features but does manage to get it right when it comes to the basic elements that every good backpack should have. Weighing in at a paltry 0.5 lbs, this bag’s ultra-lightness is one of its key selling points and you’ll be hard-pushed to find a lighter backpack than this at 33L capacity. Less weight in the backpack itself means that you can carry more of the items you love without exceeding those irksome carry-on weight limits that many airlines enforce. The bag also packs down really small and can be stashed away inside the small pouch that it first arrives in, which is really handy if you’re not yet ready to go carry-on only and you need a lightweight daypack in addition to your primary backpack. The Outlander 33L definitely has enough compartments, pouches and pockets to keep your stuff organized. There are two primary compartments; a very spacious main compartment, which also has a decent-sized zippered dangling pouch at the top (for holding valuables) and a somewhat smaller front compartment. There is also a small zippered slash pocket at the front of the bag for stashing spare change, pens, passport and any other items that you need to have quick and immediate access to. The bag also features two stretchy external mesh pockets, one on each side, which are deep enough and roomy enough to hold a large water bottle or an umbrella if you’re doing a day-hike or just exploring around town all day. The bag is made from a very lightweight but durable Ripstop nylon material, which will prevent budding tears in the fabric from worsening. The fabric is also quite water-resistant and will stand up well to a few light splashes or light rain, but you wouldn’t want to trust it to keep your contents dry in a heavy downpour. The adjustable shoulder straps on this bag are not very thickly padded, but what padding they do have seems to be sufficient and the bag is still very comfortable to wear, even when fully loaded with heavy gear. The straps also have a mesh covering for added ventilation. The two primary compartments of the backpack feature reliable dual-lockable zippers that can both easily be locked if you carry your own luggage lock.The zipper pulls are made of strong webbing material and are long enough to give you good leverage. The haul loop at the top of this bag is nothing special – just a loop of webbing but it is functional and well stitched, allowing you to hang the bag from a hook off the floor or easily shift it to a new location if necessary. The backpack comes with a lifetime warranty so you should be covered if you buy a defective product. As the lifetime warranty is described on Amazon - exchange, return - whatever it takes. 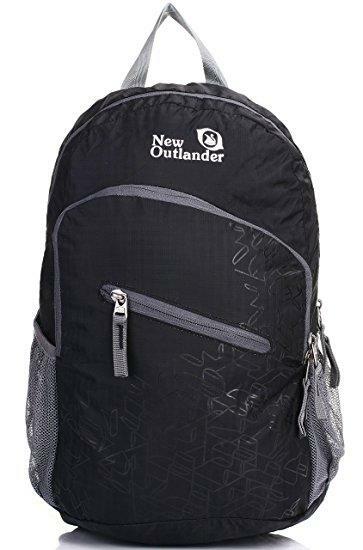 Normally priced below $20, this is the perfect backpack for those on a tight budget and is really excellent value for money. That said, having limited money to spend is definitely not the only reason to choose this backpack and it could still be a great choice for those with more money to spend. This backpack unfortunately does not offer an in-built laptop sleeve, which may be a bit of a deal-breaker for some digital nomads and other travellers that need to travel with a laptop. You can still of course protect your laptop with its own separate case or neoprene sleeve, but don’t expect the bag itself to offer it much additional protection or to allow you to segregate your laptop from the rest of the contents. The bag offers no padding around the back or other areas either, so any other fragile electronics or other vulnerable items that you want to carry inside this backpack should have their own protection and you definitely shouldn’t rely on the bag to provide it. The bag material is very strong and durable and the stitching is of high quality, but because the bag lacks some of the extra features like a hip belt and sternum strap, it may not be very comfortable when carrying heavy loads for prolonged periods. You therefore wouldn’t want to overload this bag too much with heavy camping gear or electronics for the sake of your back and shoulders. That said, this will really only affect people who like to travel with 20lbs or more, which is not what carry-on travel is about in the first place. The absence of any cushioning in the back panel means that you’ll need to be a bit more careful about how you arrange items inside the bag, ensuring that there are no lumpy or sharp items that could potentially jab into your back through the unpadded material. The lack of any ventilation technology in the back panel could also be a minor issue for some, especially if you plan to do a lot of sweaty day hiking with this backpack. Although not the most aesthetically pleasing bag on the market, the Timbuk 2 Uptown Travel Backpack makes up for that by being a highly functional and practical backpack. At 30L capacity, this is a top-notch carry-on backpack that has been specially designed for lightweight travellers that fly a lot. It’s also a backpack that places a lot of emphasis on organization for all your items and excellent physical protection for your electronic devices. The special TSA-compliant electronics compartment will be very handy for travellers when passing through airport security and the bag’s compact size means that even the strictest budget airlines will be very happy to see you taking it on board. You also should never have problems stowing it under seats or in overhead racks on buses, trains etc. There's a lot to love about the Timbuk 2 Uptown; it covers all the bases very well and has the notable TSA-compliant electronics compartment in the back, which will allow frequent fliers to breeze through security while everybody else struggles. This backpack has four primary compartments although one of these is an electronics compartment, designed specifically for your laptop and other electronic devices. The two outermost (towards the front) compartments feature organizer panels inside them, which consist of a generous number of small zippered and non-zippered pockets, making this a pretty unbeatable backpack where organization and compartmentalization is concerned. You can distribute your chargers, cables, keys, external hard drive, USB stick and any other small items throughout all of these extra organizer pockets. The outermost of these two organizer compartments is also padded, which makes it perfect for keeping any sensitive electronic devices like a tablet or an iPad. Moving towards the back of the bag, the third compartment is designed to be the main compartment and is the most spacious of all the compartments. It’s just a roomy compartment for your items with no additional organizer pockets or fancy extras. The bag also features a small zippered slash pocket at the front, which is perfect for those smaller items like spare change, passport, boarding pass etc. that you need to access in a hurry. 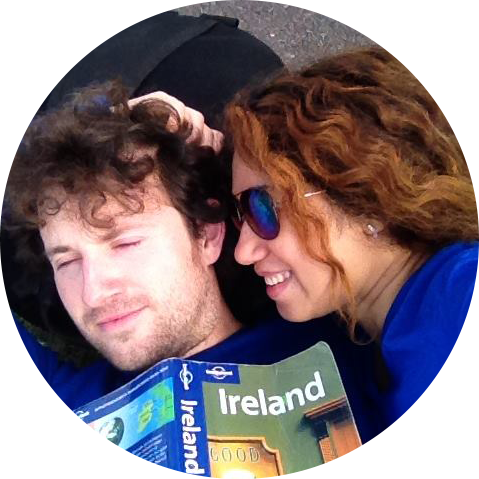 There is additionally a small crush-proof and tricot-lined floating top pocket, which is designed for items like your smartphone or sunglasses. There is also a single external mesh pocket found on one side of the bag, which is stretchy and is very handy for keeping an umbrella, poncho or water bottle. The bag has a generously padded back panel with mesh covering, which not only increases your comfort while wearing it but also gives extra protection to any fragile or vulnerable items you may be carrying. A central ventilation chimney (air channel) runs centrally through the padded back panel and four side ventilation channels (like tributaries) also connect to this central channel, meaning that the bag provides excellent ventilation for your back. The central ventilation chimney also provides a hollow space for your spine to occupy so that the weight of the bag is never pressing directly on it. The bags fourth compartment, located right next to your back is well padded and is specially designed for your electronics. It has a protective sleeve for safeguarding your laptop (up to 15’’ laptop) and another protective pouch opposite the laptop sleeve, which is perfect for protecting your kindle or iPad. A Velcro tab can be secured down over the laptop sleeve to keep your laptop firmly in place. This fourth compartment is also TSA-compliant, which means that while passing through airport security, you can just fully unzip the compartment, lay the bag down flat on its front and let it pass along the conveyor belt and through the X-ray machine. Once the bag comes through the other side of the X-ray machine, all you have to do is quickly zip the electronics compartment back up and be on your way. Normally you would have to go through the whole rigmarole of removing your laptop from an overstuffed bag, placing it in a plastic bin, running it through the machine and then stuffing it back into the bag again but the Timbuk 2 Uptown backpack will save you all of that hassle. The shoulder straps for this backpack are very well-cushioned and mesh-covered, making the bag very comfortable to wear, even with heavier loads. The straps distribute the weight very evenly across the shoulders without pinching you at any specific spots and can also be adjusted so that you can wear the bag in the way that feels most comfortable to you. There is also a bottle opener attached to one of the straps, although many people may find this to be a bit of a gimmick. All of the primary compartments of this backpack, including that all-important electronics compartment, come with high quality dual-lockable zippers so you can easily secure your valuables from pickpockets with a luggage lock. The sliders have plastic cylinder-shaped zipper pulls to give you plenty of leverage. The bag has an adjustable sternum strap, which will be a welcome feature for those travellers that want to load the bag up with a bit more weight. The sternum strap seems to be a bit limited in terms of adjustability however and some people may find it difficult to tighten or loosen it to the degree they need. It’s good to see that the bag does have a haul loop at the top (albeit just an unpadded loop of webbing) so you can easily grab it off the floor, quickly shift it to a new location or even hang it from a hook up off the ground. There’s also a loop of webbing on the side of the backpack to allow you to carry it like a briefcase, should the need arise. There’s a small loop of webbing on the front face of the bag for attaching a blinky bike light to let traffic know you’re there at night. It’s a nice feature to have if you’re a cyclist or if you plan to do any cycling with the bag. The Timbuk 2 does come with a few very minor downsides, but none of them should be major deal-breakers for most travellers. Although the backpack is made of a water-resistant fabric, it’d be nice to see a raincover included for some additional protection against rain and splashes. You can of course still buy a raincover for the backpack separately so this is only a minor issue. The Timbuk 2 Uptown backpack has no matching external mesh pocket on the other side, which is not disastrous but it would be nice to be able to carry a water bottle on both sides to balance out the weight better and maybe also just for better aesthetics and symmetry. One minor downside with this backpack is that the base is not completely flat and slopes in such a way that the bag tends to lean or fall forwards onto its front when you set it down on the ground. If you add a laptop or plenty of weight to the back of the bag it should help counteract this but it still may be an inconvenience for some that the bag won’t always stand up vertically and will pitch at a significant angle. Don't worry about this too much though; it usually just leans and shouldn't actually fall over if you pack it correctly. 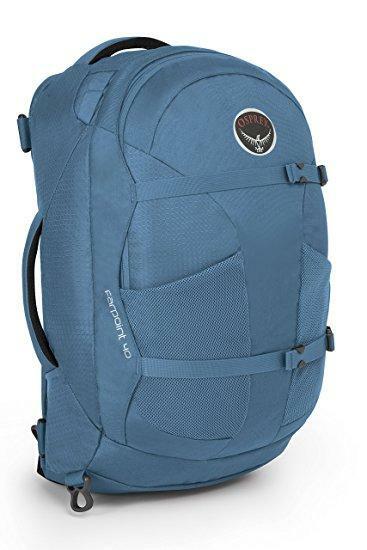 The Osprey Ozone 35L Travel Pack is another very lightweight backpack (although not as light as the Outlander 33L) and at 35L capacity, we would consider it to be around that sweet-spot size for a carry-on backpack. The bag is not quite large enough to raise concerns about carry-on size restrictions or encourage you to overpack and is also not so small that you would have to ruthlessly stuff items to make them all fit inside the bag. The Osprey Ozone contends for the throne with its near ideal size, aesthetically pleasing appearance and it's padded hip belt, which will be irrelevant to some travellers but much welcomed by those that prefer to travel with heavier loads. In addition to these features that set it apart, it also does a wonderful job at covering all the bases. The bag has three primary compartments. The outermost of these compartments at the front of the bag is an organizer compartment and has within one small mesh pocket, another small fabric pocket directly behind this and a small zippered pocket. It also has a row of three elastic pen-holder loops. The middle compartment of the bag is very well-cushioned, uses a heat-embossed fabric and is specifically designed for protecting a tablet or iPad from knocks and scratches. The main compartment of the bag opens up front-loading style (although it'd be nice if the zippers opened a little further) and is very spacious. Inside here, against the back panel of the bag there’s a very generously cushioned laptop sleeve with a Velcro tab to flap down over the opening and secure the device in place. The sleeve is easily large enough to fit a 15’’ inch laptop. Built into the wall of the laptop sleeve is a second sleeve – this one zippered, which could be a great place to keep documents or other fairly flat items like magazines etc. It’s always good to have a sternum strap to ease the pressure off your shoulders and the rescue whistle is a plus for travellers that do a lot of hiking in remote areas. This bag does have an adjustable hip belt, although the actual hip pads that wrap around your hips are very small and only moderately cushioned. However, that won't be a big deal for most travellers since it’s a reasonably small backpack and you normally won't even require the hip belt anyway if you know how to pack correctly. Like the Farpoint 40, this backpack comes with external compression straps to prevent the contents from shifting around, thus improving your stability. There are four compression straps in total; one at the top and one at the bottom on each side of the backpack. The two lower straps do pass around the water bottle pouches but shouldn’t cause too much of a problem. 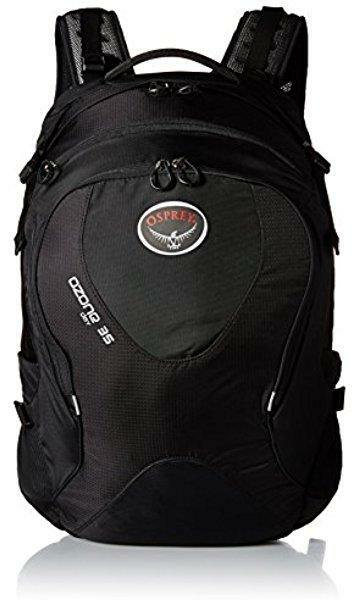 The Osprey Ozone 35L comes with a nice mesh-covered and well-cushioned back panel, which should help with comfort under heavier loads and also with air circulation around your back to prevent excessive sweating. The fully adjustable shoulder straps on this backpack are not the most cushioned we’ve come across but they’re as padded as they need to be. You’ll certainly find the bag wears very comfortably and distributes the weight evenly across your shoulders without any pinching in specific areas. The bag has two stretchy external mesh pockets, one on each side, which are useful for keeping a water bottle, poncho or umbrella. The pockets angle forwards slightly, to make it easier for you to reach for your water bottle or umbrella without having to take off the backpack. The high quality dual zippers that open and close the bag's primary compartments are lockable with a luggage lock if security is a concern. Loops of cord, partially sheathed in plastic, act as zipper pulls to give you decent leverage. The bag has a nice haul loop, slightly thicker and more padded than what you’ll find on some other cheaper backpacks. You’ll be able to comfortably shift the back to a new location or hang the bag from a hook to keep it off the floor. At 27L capacity, the Tortuga Air Travel Backpack is an ideal carry-on backpack and even so for the strictest budget airlines (such as Ryanair). It also has the ability to be expanded to 35L by means of an expansion zipper and at this capacity will still work perfectly as a carry-on bag for all but the most pedantic airlines. The Tortuga Air is a perfect carry-on backpack for a short multi-day travel adventure but could also easily be used as a long-term travel backpack, provided you know how to pack light. The Tortuga Air backpack doesn't really do anything wrong and with its panel-loading design and expandable volume, this backpack has some features that some of the other backpacks on this list would envy. This main compartment of this backpack opens up just like a suitcase (or book), making it very easy to access to the contents. No need to root down through layers of stuff to find that pair of socks at the bottom of the bag. This backpack has the unusual ability to expand by 2 inches (5cm) if extra space is required, thus increasing it’s volume by an impressive 30%, from 27L to 35L capacity. This is very simply achieved by a unzipping an expansion zipper that runs around the backpack near the front. The backpack has four primary compartments, one of which is an electronics compartment found next to the back panel. The zippered front compartment functions primarily as an organizer compartment. There’s plenty of space inside the compartment itself for a few small items, as well as an organizer panel with numerous small pockets, which can perfectly fit smaller items like keys, cards, smartphone, passport etc. There are also some pen-holders and a nice little zippered pocket inside here too. Due to the panel-loading design, the bag opens up like a clamshell or suitcase (unzips in the middle) to reveal the large main compartment. Inside here you’ll find a large empty space with two tie-down compression straps to keep your clothes from shifting around inside the bag. The other half of the backpack that hinges open also provides a breathable zippered mesh compartment on its inner face, with plenty of additional space inside for extra clothes or dirty clothes (if you want to use it as a place to segregate your dirty laundry). The electronics compartment at the rear of the bag is well padded and is opened by a zipper that runs along the side of the backpack. The compartment has plenty of space to fit a 15-inch laptop and also features another small pouch that seems to be designed to hold a tablet or e-reader up to 10 inches or so. There is no laptop sleeve as such inside here, as the compartment itself is designed to hold your laptop. The bag also has a small hanging top pocket like the Timbuk 2 Uptown, which is perfect for keeping your smartphone, sunglasses and any other fragile items that need to be readily accessed. On the outside, you’ll find a small zippered side pocket on one side only, great for holding a water bottle, poncho or umbrella once unzipped. When zipped up it won’t fit those larger items but you can still use it for smaller items like keys, passport etc. The backpack comes with fully adjustable and well-padded shoulder straps, which distribute the weight very evenly and feel very comfortable across the shoulders, even when the bag is heavily loaded or carried for prolonged periods of time. Another plus with this backpack is the very nicely padded back panel, keeping your back comfortable under heavier loads and also helping to physically protect any fragile items that you’re travelling with. Many of the cheaper or lower quality backpacks omit this important feature. The padding on the back panel comes as two separate padded areas (one on each side) with a spine-relief channel running between them. This channel also functions as a ventilation chimney to keep air circulating around your back and reduce sweating. The bag comes with a sternum strap to help keep those shoulder straps pulled close together and to shift some of the weight off your shoulders if at any point they start to ache. Although the bag lacks a hip belt, this shouldn’t be much of a problem as you generally won’t be loading it heavy enough to really require one. The main compartment, front compartment and electronics compartment all come with high-quality dual lockable zippers, which can be secured with a luggage lock to help protect you against pickpocket theft. Loops of cord are attached to all the zipper sliders and the loops terminate in plastic pull-tabs, making it easy to undo or close the zippers. The bag comes with two compression straps, one on each side of the backpack and these really just compress the bag at the sides and help to prevent the contents from shifting around. On the side of the bag with the zippered outer pocket, the compression strap can also be used to help secure your water bottle and ensure it doesn’t fall out. Unlike some other backpacks, which only have a loop of thin webbing for a carry loop, the Tortuga Air comes with a nicely padded handle attached to the top of the backpack, allowing you to comfortably shift the bag to a new location or hang it from a hook off the floor. What's your favourite carry-on backpack for travel? Please leave us a comment below and tell us your recommendation. Also, if you have questions about any of these backpacks we'll do our best to answer them.